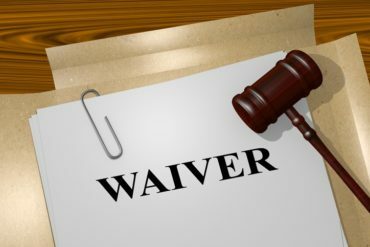 Does a business have to highlight a waiver of liability to a client? Canadian Underwriter	Does a business have to highlight a waiver of liability to a client? A flood in an Alberta community centre flood has once again raised the legal issue of whether a claimant is obligated to read a commercial services contract thoroughly, or whether the defendant is obligated to highlight any waiver of liability to the claimant. The Bragg Creek Community Association hired Tyco Integrated Fire & Security Canada Inc. in April 2015 to conduct the annual inspections of the community centre’s fire suppression equipment, including a dry line sprinkler system. Tyco quoted a price of $2,298 for all fire related inspections, including the dry line system. The association’s facility director, Luanne Murphy, signed a contract with Tyco to perform the work. Summarizing the evidence, the court noted that the contract Murphy signed was a standard commercial contract between two commercial parties, although the document was not easy to read. It was not known until the hearing, for example, that Ontario law governed the contract. Murphy, who signed the document on behalf of the community association, had completed a program in recreational facility management. Not only did she review the document, but so did her supervisor and the board. There was no evidence that there was any rush to sign the contract and it was apparently left with the community association to be sent back at a later date. On the other hand, the court noted, “it is unknown if Tyco explained the contract in any way, but it is unlikely that the limitation of liability provision was drawn to Ms. Murphy’s attention by Tyco’s representative.” That said, the court noted, a notification of a limitation on liability was provided in capital letters just over the signature block, and the actual clause was found in very small font on one of five double-columned pages. Ultimately, the court found that Tyco had no obligation to bring the waiver to the attention of the association. The onus was on the association’s representatives to read the contract carefully.